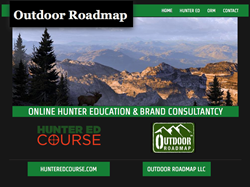 A new website design has been launched for Outdoor Roadmap the parent company of Hunter Ed Course, the leading online hunter education provider. The new site can be accessed at http://www.OutdoorRoadmap.com. The primary business of Outdoor Roadmap is selling an online hunter safety course for state required hunter education through the website http://www.HunterEdCourse.com. Hunter Ed Course offers the lowest cost narrated online hunter education course at $13, almost half the cost of the other similar offerings. Hunter Ed Course features narration with closed captioning, photos and interactive animations. A hunter is only required to take a state-approved hunter education course once and then it is good for a lifetime of hunting. Once hunter education certification is achieved then all states and Canadian provinces recognize the certification. Online hunter education allows a user to take the state-required hunter education course when and where it is convenient, as long as there is an Internet connection. The other alternative for someone wanting to start hunting is to attend a classroom session of the course hosted by a state’s fish and game agency. Gaining certification through this means generally occupies a weekend commitment. With online hunter education training, a new hunter is only required to complete the online course at his or her leisure and then in most states attend a field/skills day of approximately four hours (varies by state) to demonstrate hunter safety knowledge and gun handling skills. A user can almost cut their time in half by learning online. 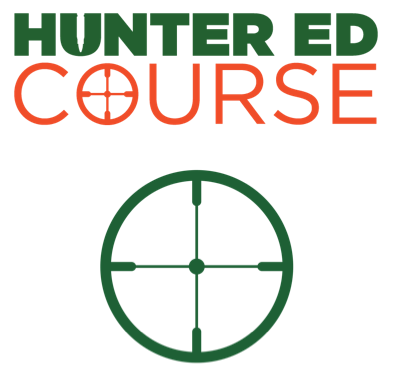 A student can access the Hunter Ed Course online hunter safety course through http://www.HunterEdCourse.com or through the new http://www.OutdoorRoadmap.com. Outdoor Roadmap’s Hunter Ed Course is a Michigan-based online Hunter Safety training company committed to ensuring the lifestyle and heritage of hunting in America through easier access to the sport with a low cost online hunter education training and information available at http://www.HunterEdCourse.com.